When getting home after The Ludvika Knife Week the Postman had delivered a steaming hot new issue of the Vapentidningen (No.5 - 2016). Soon the magazine also will be available in stores. I hope you'll be able to read all the interesting articles inside this issue. 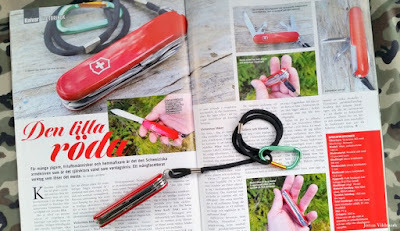 My contribution this time is an article on our dearly red little everyday hero; The Swiss Army Knife. In the article you can see one of my favorite EDC's; the Victorinox Hiker No.14613. Victorinox produce a wide range of models and variations of these. All to be able to offer a tailored set up of features in each product. I pick the Hiker as I want a slim folder/multitool equipped with a saw and I also prefer a cross head screwdriver instead of a corkscrew. 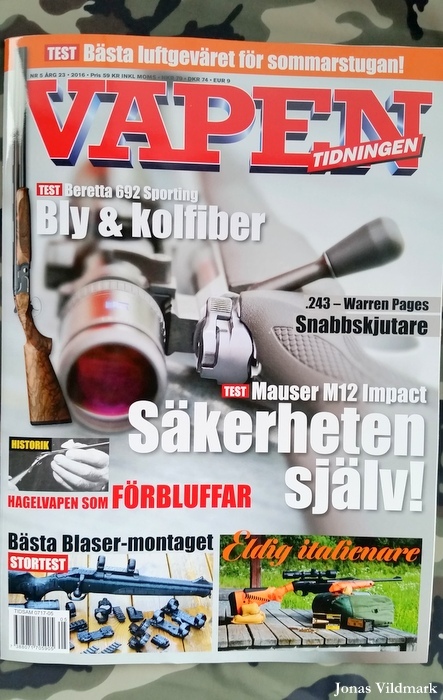 Some of the other interesting articles inside this issue of Vapentidningen are; Henrik Kalling's Sig Sauer P226 MK25 test, Tobias Hassel's Beretta 692 Sporting test and Erland Gunnarsson's & Elso Olsson's lovely "summer place air gun" test. As always; I appreciate any feedback on my magazine article. 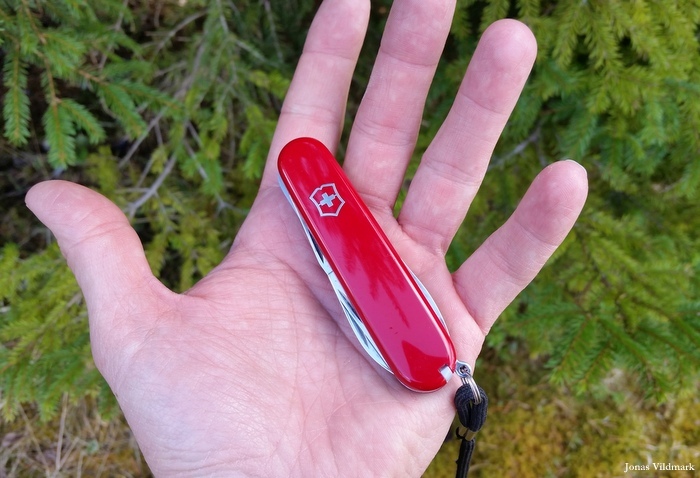 What are your experiences of Victorinox, and do you have any adventurous stories to share about the Hiker? Keep up the Summer mode with help of this new issue of the magazine. Inside the issue after that (No.6 - 2016) you'll be able to read my longed for article about the project The Swedish Axe. To see my other articles published inside the magazine Vapentidningen; click HERE. 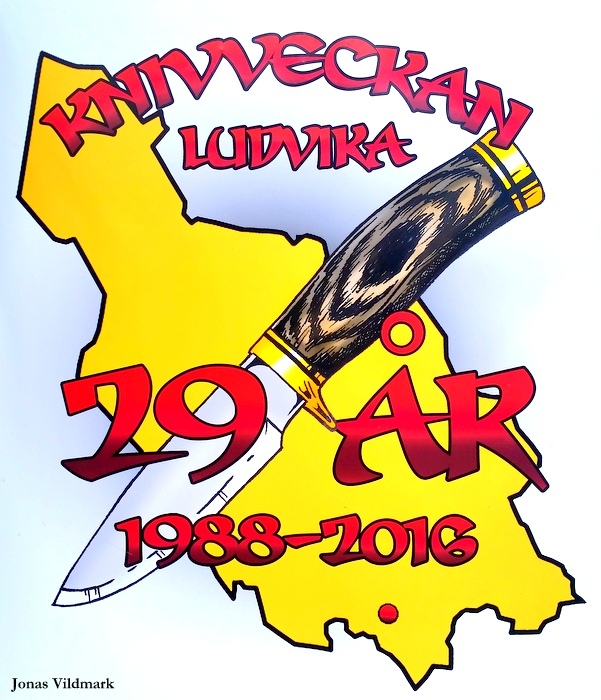 Since 1988 the event Knivveckan (The Knife Week) has been arranged in the peaceful little town of Ludvika Sweden. As a knife collector I've always heard good things of this knife festival but unfortunately I've never had the chance of visiting. So this year it was about time I got myself there. The passionate project leaders of the event; Mr. Anders and Mrs. Ingegerd Höök have earlier announced that they are stepping down as key persons in the coordination of the Knife Week. Therefore the future of the event is unknown at this moment. Later this evening (2016-07-15) The Svensk Knivförening's (The Swedish Knife Guild) yearly meeting will be held where the subject of them picking up the flag of the knife festival. either way I'm guessing the event will go on, but perhaps in another context and place. 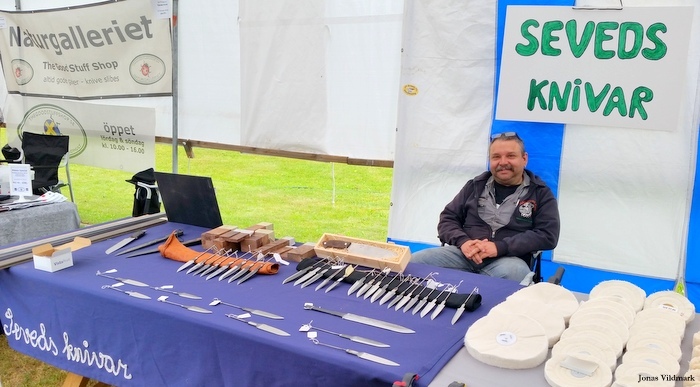 A motivated knife festival friend page has been created on Facebook and there are actors in the business that have been shoving their interest in arranging the event in the future. It will be interesting to see what will happen. 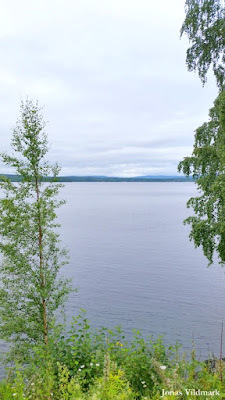 After a peaceful drive up to Ludvika and a good nights sleep on the back of my pick-up truck; I dived into the event area. 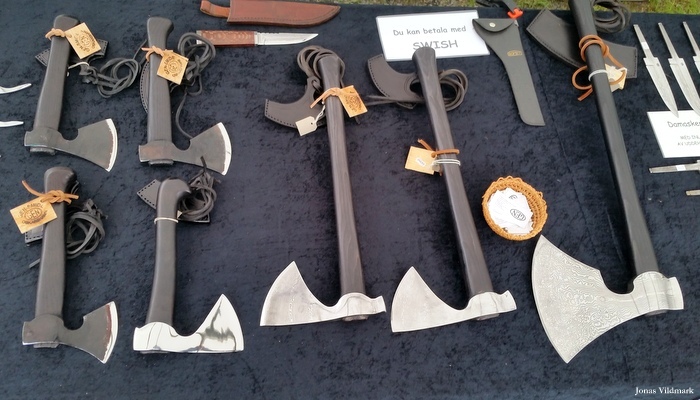 Exhibitors, knife makers and salesmen of materials like; wood, steel and leather were mingling and networking in a pleasant way. 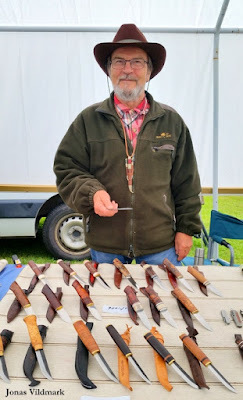 For the fresh knife collector there are a lot of old price worthy knives to find (not the least the old and faithful Moras) and for the more advanced collector there were a big number of amazing piece of work to admire and invest in. 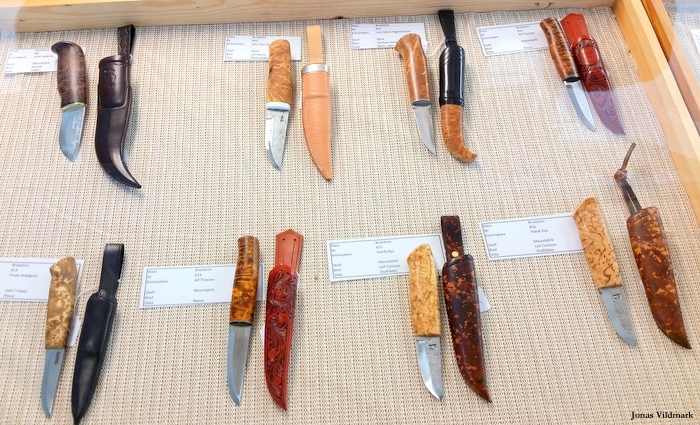 Some of the masterpieces on display in the Nordic Championship in Knife Making. 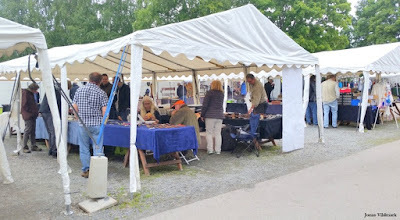 Some of the nice people I got to hang out with during my visit was; Seved Hjelm (also now ready for the Bushcraftfestivalen), Sven Thunberg (Njutånger), Mikael Hansen (Denmark) and Carl Michael (Gävle). Göran Enocksson and GEN-Smide was for me a new acquaintance with some impressive products, not the least his great looking axes. I had to hold on to my valet and control myself not to empty it when seeing all the beautiful knives at the festival. I succeeded in staying disciplined; as I only invested in one new knife. 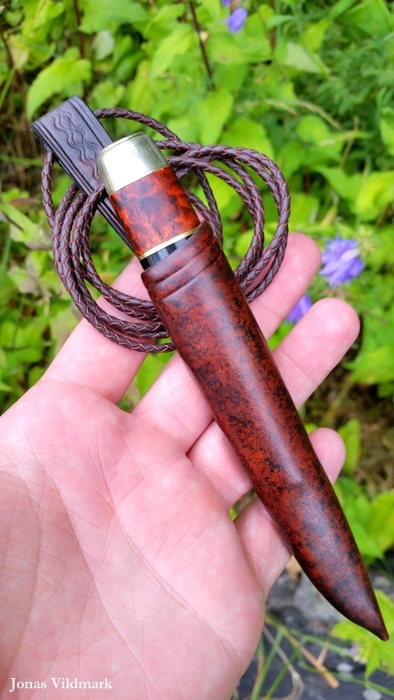 My trophy from this years event got to be a nice little neck knife from Pentti Pirttioja (Smedjebacken). A sweet little new friend that I will come back to later on here on the blog. Besides networking, market, exhibition, and the Nordic Championship in Knife Making the Knife Week 2016 offered a number of speakers. I listened to Krister Pettersson from the company Uddeholm Svenska AB manufacturing steel. 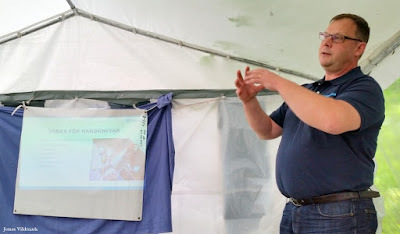 Krister presented the company's different products and their co operations with a number of well known knife manufacturers such as; Benchmade, Spyderco, Lionsteel, Kershaw and FirstEdge. Especially interesting was to hear about the company's development of the new nitrogen laminated steel Vanax SuperClean. My guess is; we'll be hearing a lot about it in the future. 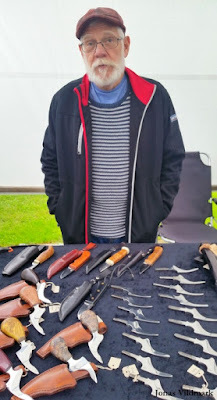 I wish to say thank you to the town of Ludvika and to the event Ludvika Knife Week for a couple of really great days. I'd like to send a special warm thanks to the Höök family for contributing so much to the knife culture of Sweden through the years arranging this event. I'm looking forward to follow and participate in the future of The Knife Week.